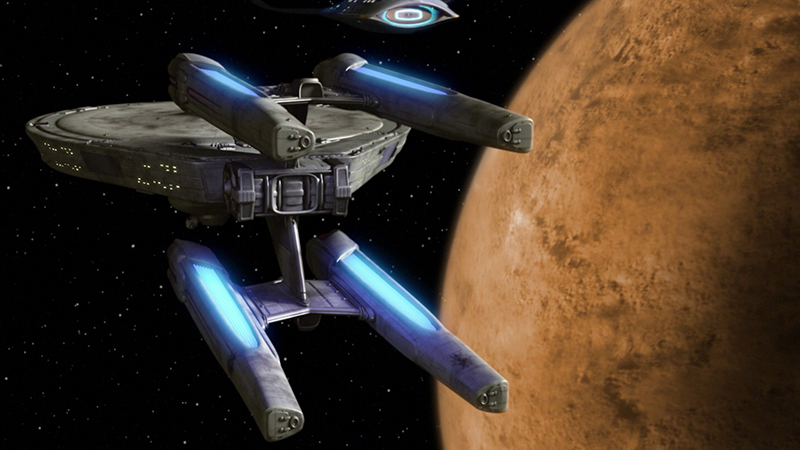 Notes: The Constellation class was created in the late 23rd century to keep up with the ever expanding Federation. With a four nacelle design the Constellation class had a higher top speed and longer range then the existing Constitution and Miranda class ships. The class was retired because of difficulties maintaining a stable warp field and a consistent lack of power, though some ships enjoyed a reasonable long service life. 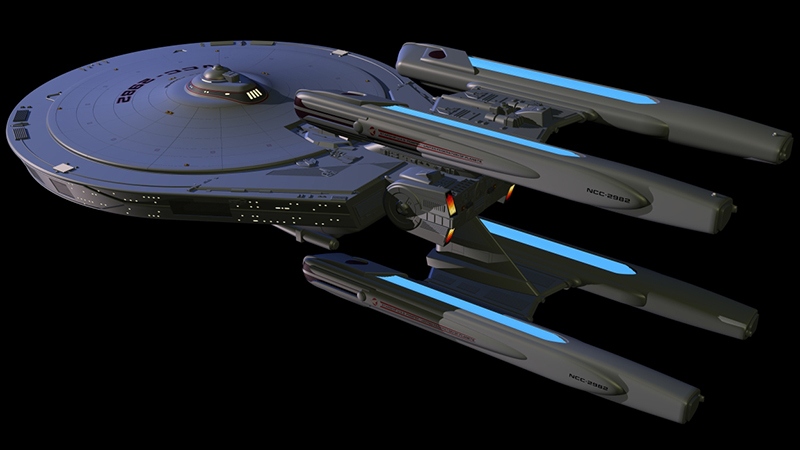 The Constellation class is best known for the development of the Picard Maneuver onboard the U.S.S. Stargazer during an unprovoked battle with the Ferengi.